Ships today if you order in the next 9 hours 40 minutes. The human body produces small amounts of a substance known as DMG (dimethylglycine), which plays a role in healthy methylation, immune health and function, and other biological processes. 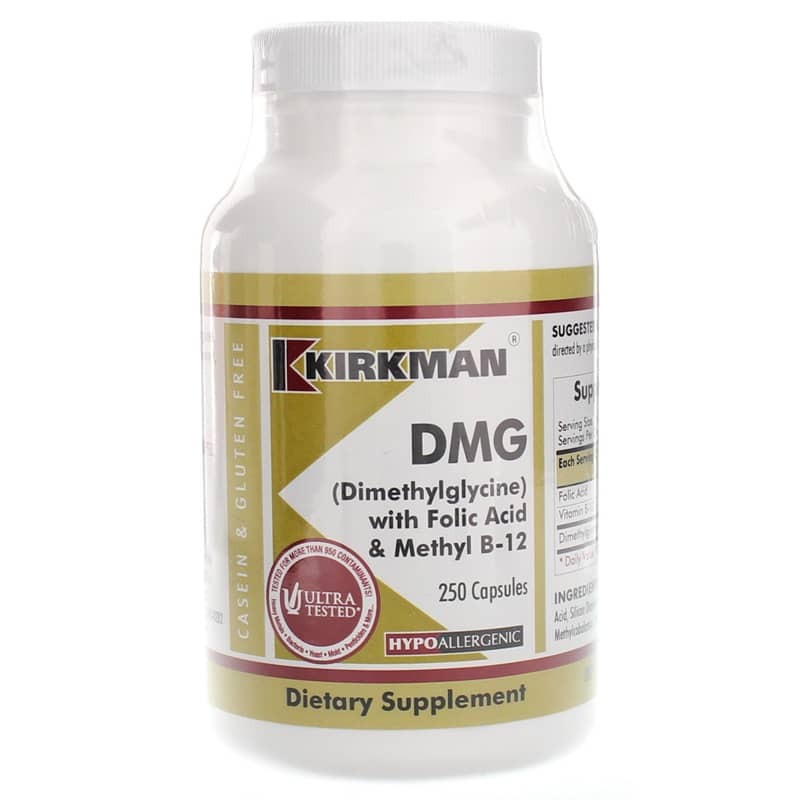 Kirkman offers a product called DMG (Dimethylglycine) with Folic Acid & Methyl B-12, a dietary supplement that provides support for the maintenance of optimal overall health. Each batch of Kirman's DMG (Dimethylglycine) with Folic Acid & Methyl B-12 is formulated without the use of any of the most common food allergens, and contains no preservatives or artificial flavors or colors. 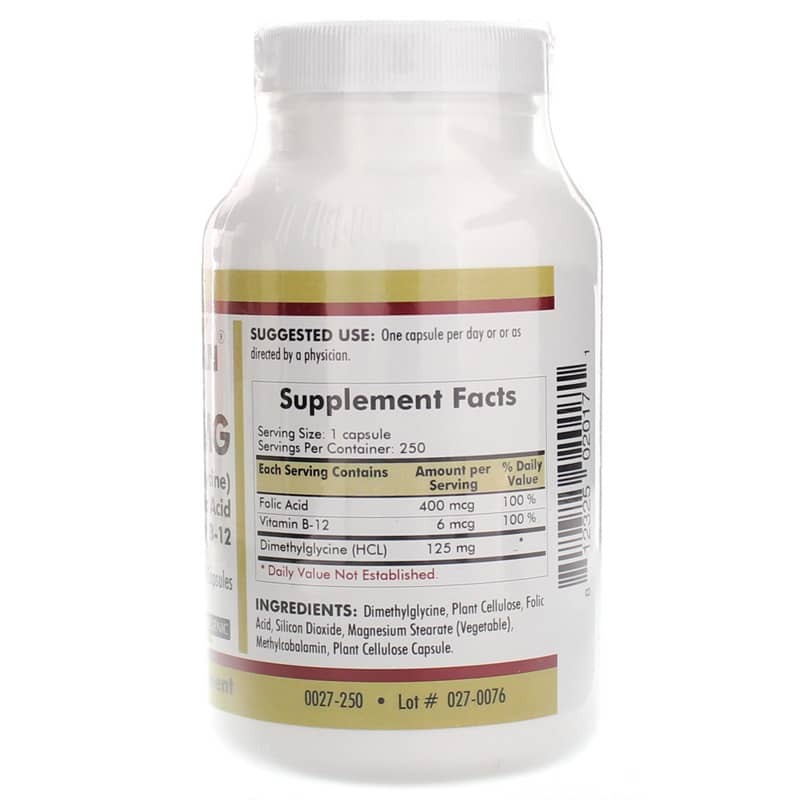 It comes in an easy-to-swallow and hypoallergenic capsule form that only needs to be taken once every day. Make the right choice to maintain an optimal level of overall health. Give DMG (Dimethylglycine) with Folic Acid & B-12 a try today, and see the difference it may be able to make for you. Order now! 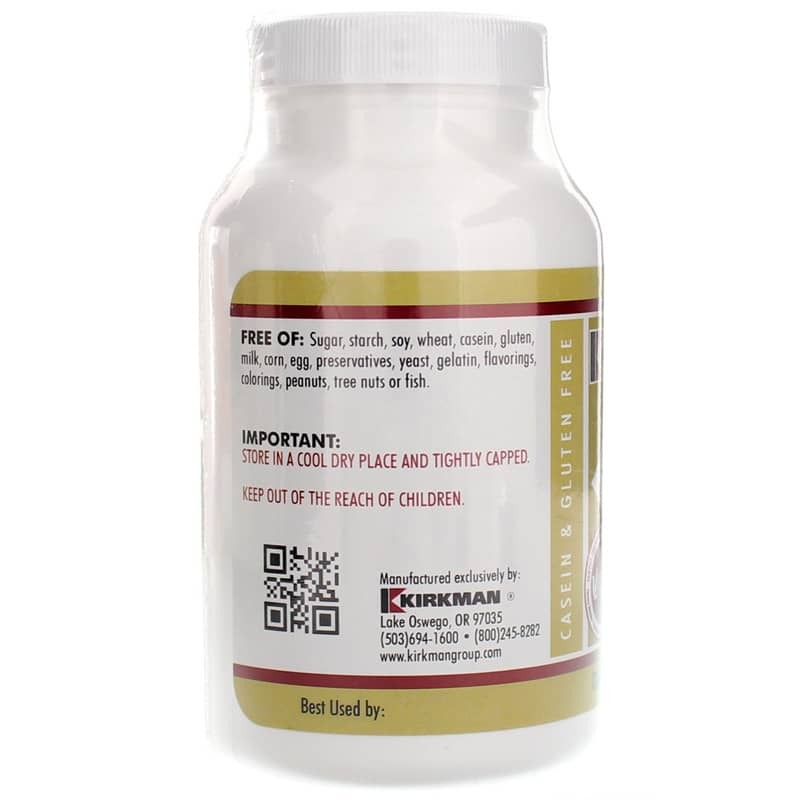 Ingredients: Dimethylglycine, Plant Cellulose, Folic Acid, Silicon Dioxide, Magnesium Stearate (Vegetable), Methylcobalamin, Plant Cellulose Capsule. Contains NO: Sugar, starch, soy, wheat, casein, gluten, milk, corn, eggs, preservatives, yeast, gelatin, flavorings, colorings, peanuts, tree nuts or fish.